One of the very first things I cast on for our new baby are these ridiculously tiny and adorable baby shoes from the pattern, Saartje's Bootees. This is actually the biggest size that the pattern offers, and they are just SO small. I wondered for a long time whether or not they would actually be big enough, but in the end decided to just complete the pair and hope for the best. 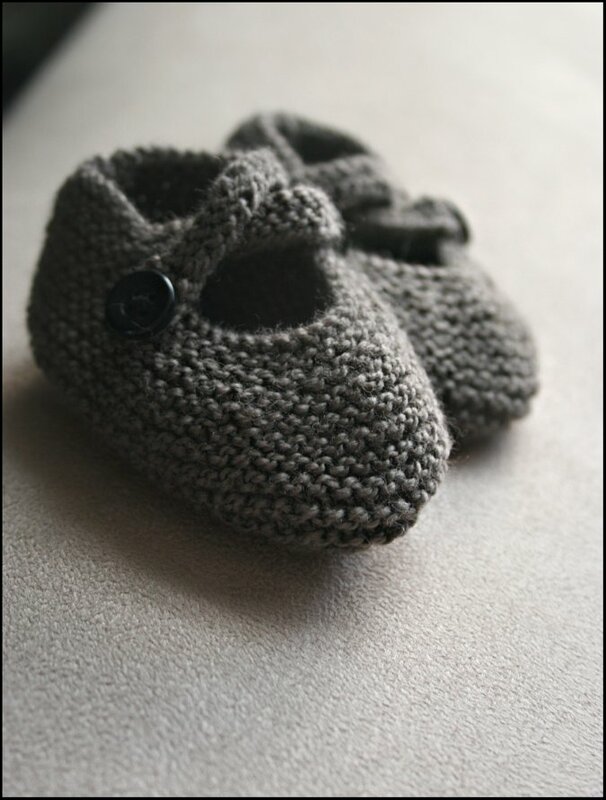 It helped that I was reassured by two very kind knitters who provided photographic proof that these shoes do actually fit newborns. 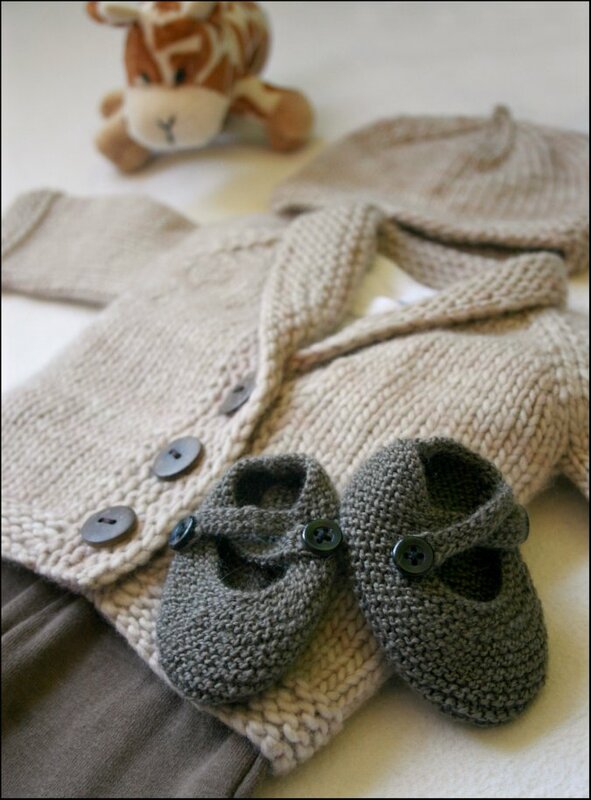 This is one of the cutest unisex baby bootee patterns that I have come across, and they work up in no time! I would love to make more in different colors and using different yarn weights for some size variation. I've already planned out our baby's "first outing" outfit. I think these bootees add the perfect touch.